Nokia Mobile has a really great page for tracking update availability based on the build number of a particular device. You just select your device, find your build number and you can see the updates available for your phone. The site, that you can visit by clicking HERE, was updated today on 13th November. The tracker for phones like the Nokia 5, 6 and 8 that today got the November update doesn’t show that, because the site was updated before HMD started rolling the mentioned updates out. 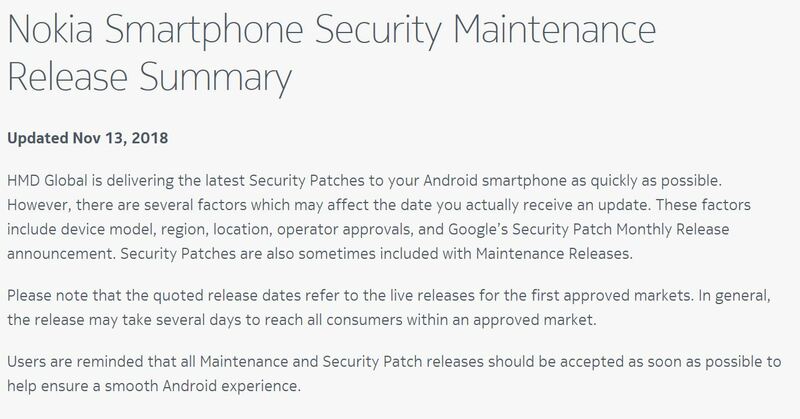 Quickly going through the list, it seems that the October security patch was released for every Nokia smartphone, but not for every variant, because the availability of updates also depends on your carrier and market.